Donna Porter went to the Komen Central Indiana Race for the Cure for the first time in 2007 to honor the breast cancer patients she’s known over the years, starting with Peg. Before moving to Indianapolis, Donna worked as an ICU nurse in Dayton, Ohio. Her coworker, Peg, was in her 30s when she was diagnosed with breast cancer. She took a leave of absence during treatment, returning to her job when her white blood cell count was high enough so she could begin paying off her mounting medical bills. Unfortunately, Peg’s cancer spread to her liver and she died of metastatic disease less than five years after her initial cancer diagnosis, leaving behind two young daughters. Peg sparked Donna’s passion for the Komen mission. That passion continues to motivate Donna in her career as a plastic surgery nurse specializing in breast reconstruction, and in her free time as a Komen volunteer. Donna works with breast cancer patients weekly, meeting with them on the morning of surgery, assisting in the operating room and helping them recover in the hospital after surgery. She answers questions, provides support and encourages them to get up and start moving around following the operation. Donna also helps patients prepare for life at home after surgery, handing out her cell phone number to make sure they’re cared for in between check-ups. Apart from her day job, Donna supports the fight against breast cancer by volunteering with Komen on the Pink Tie Ball committee and as a Race for the Cure team member. 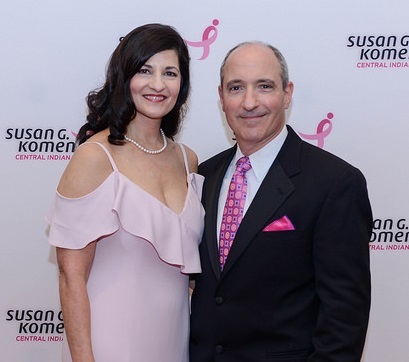 Focusing on how she could make a difference, Donna joined the Pink Tie Ball committee in 2016 and served as the Silent Auction Chair in 2017, playing an important role in the fundraising success of the event. One of her favorite memories from the 2017 Pink Tie Ball was helping to select and name the specialty cocktail drink (the ‘Tatatini’). Donna says she supports Komen because of the organization’s emphasis on early detection, because catching breast cancer in its earliest stages gives people the best chance of survival. She fundraises and donates to reduce breast cancer disparities and make sure everyone has equal access to care.